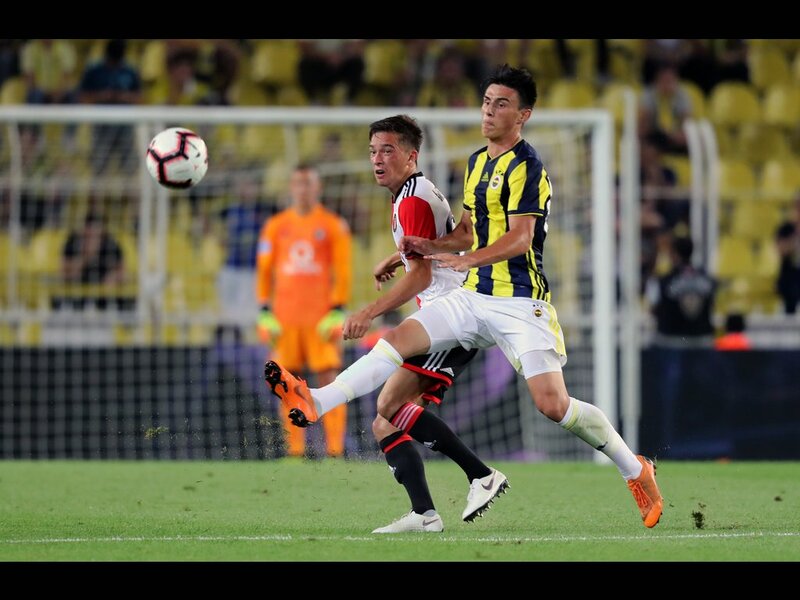 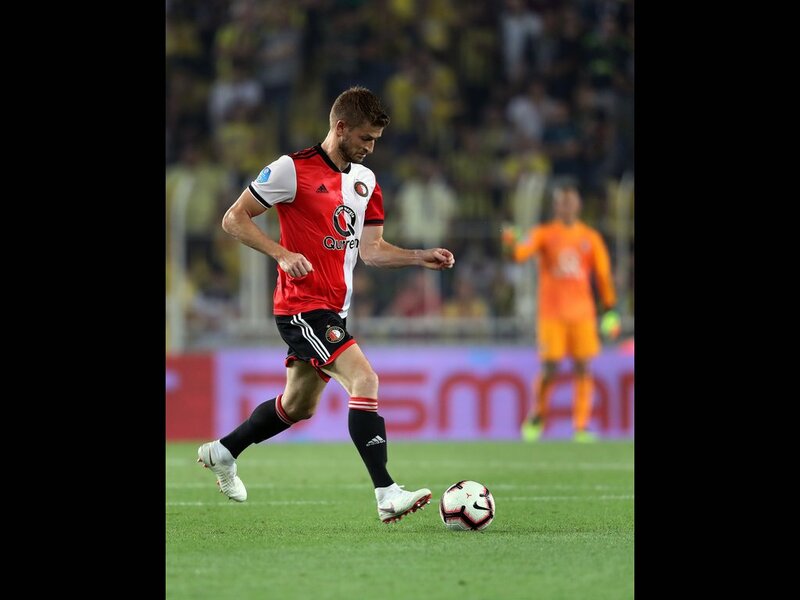 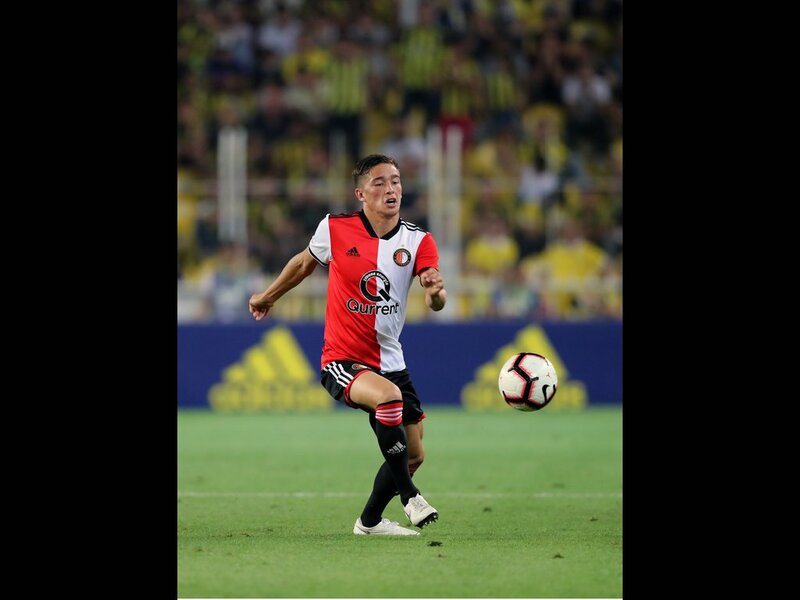 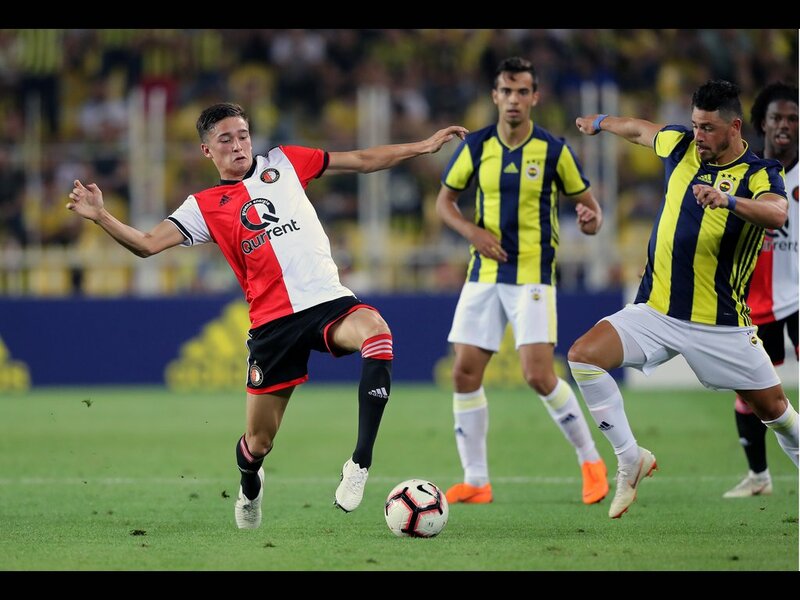 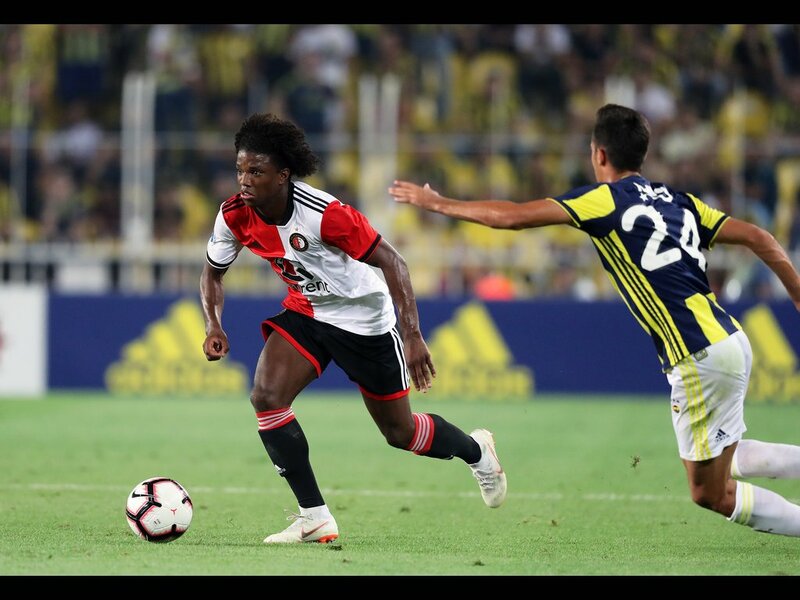 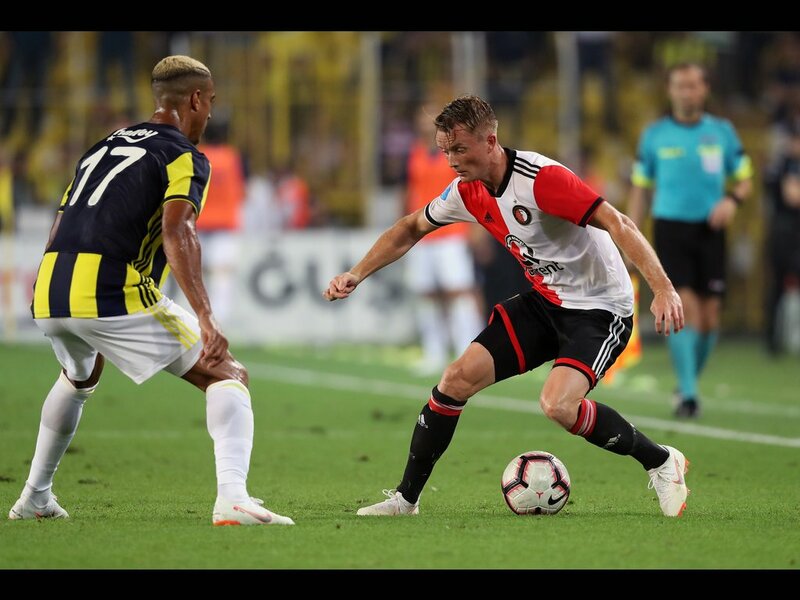 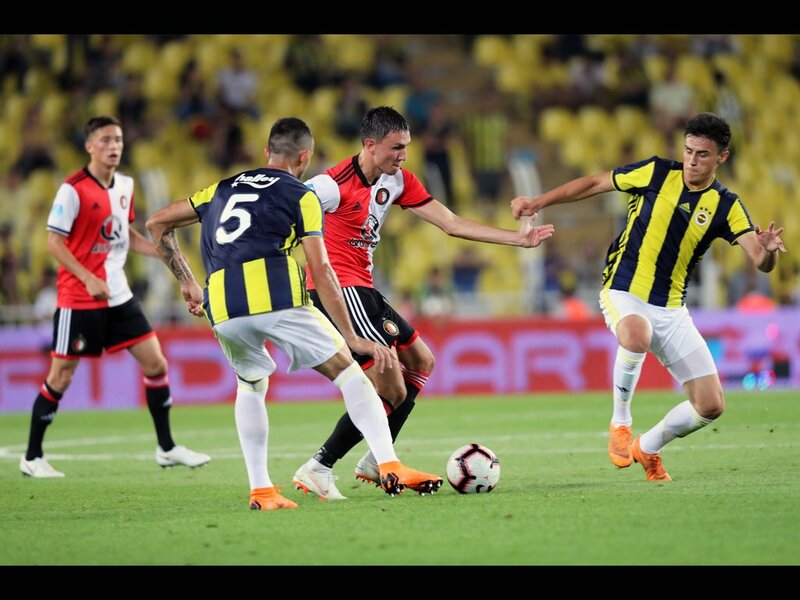 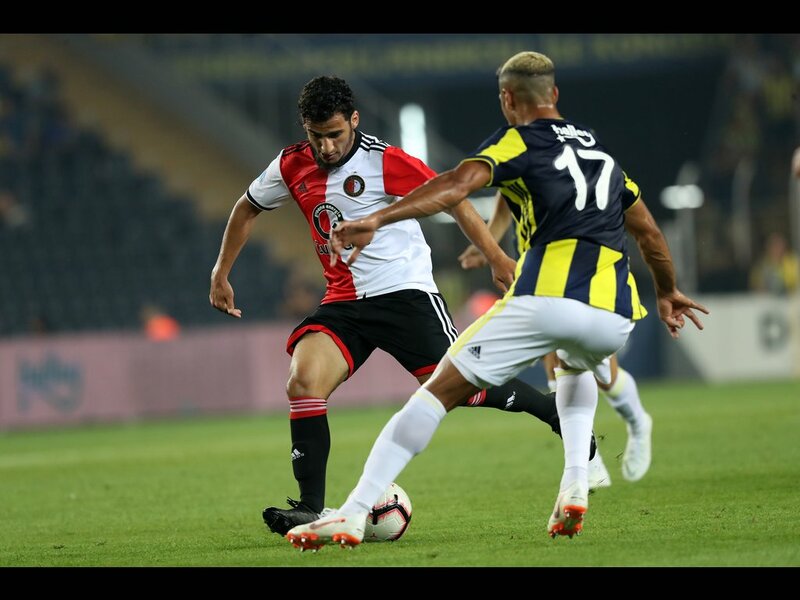 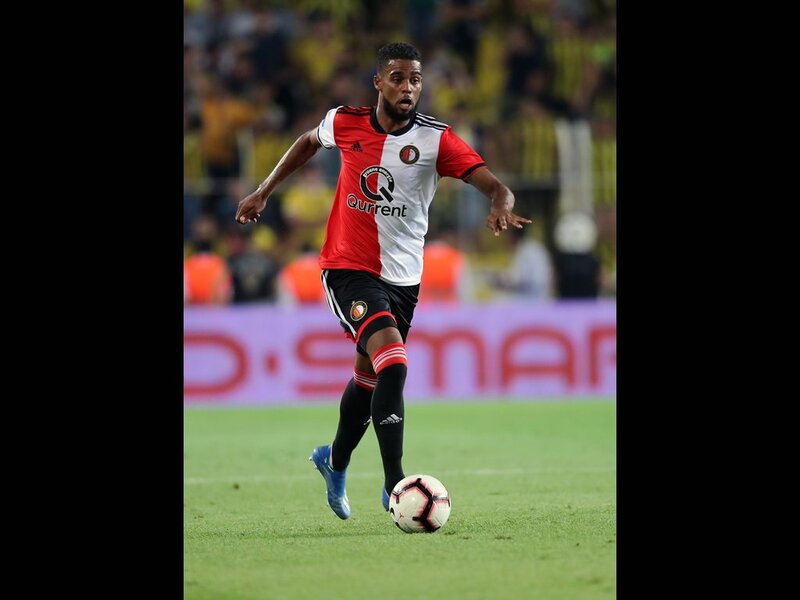 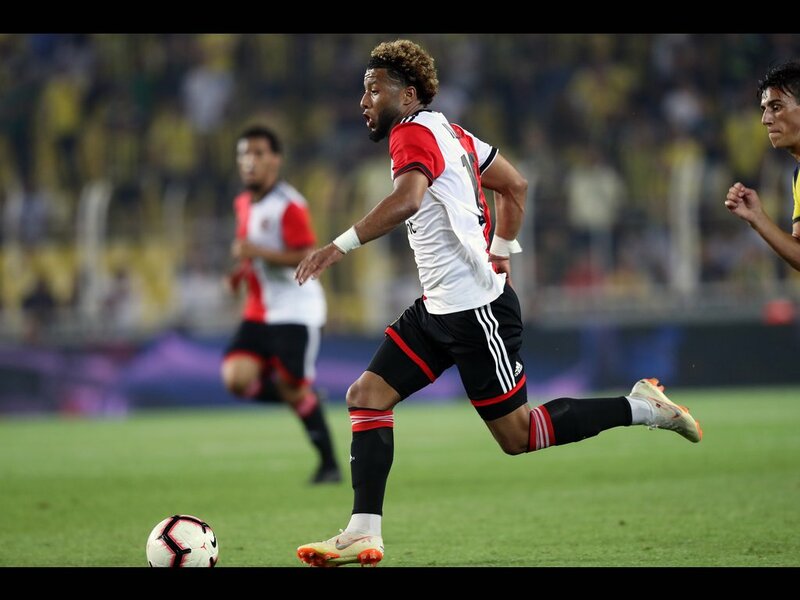 Feyenoord shocked Fenerbahçe in the last few minutes of Saturday evening’s preseason friendly to claim an unlikely draw in Istanbul. 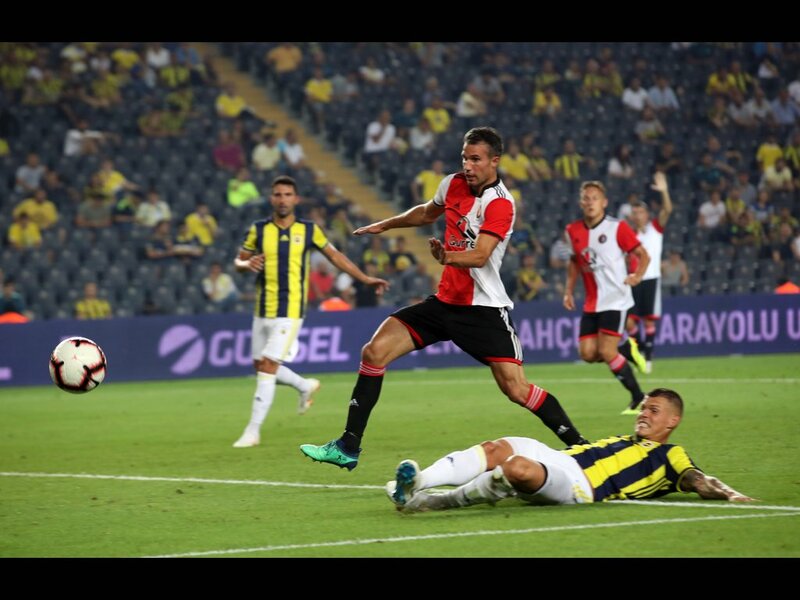 Three goals down after 18 minutes at the Sükrü Saracoglustadion, Feyenoord side managed to somehow net three of their own in the dying minutes through Steven Berghuis (2) and Jens Toornstra. 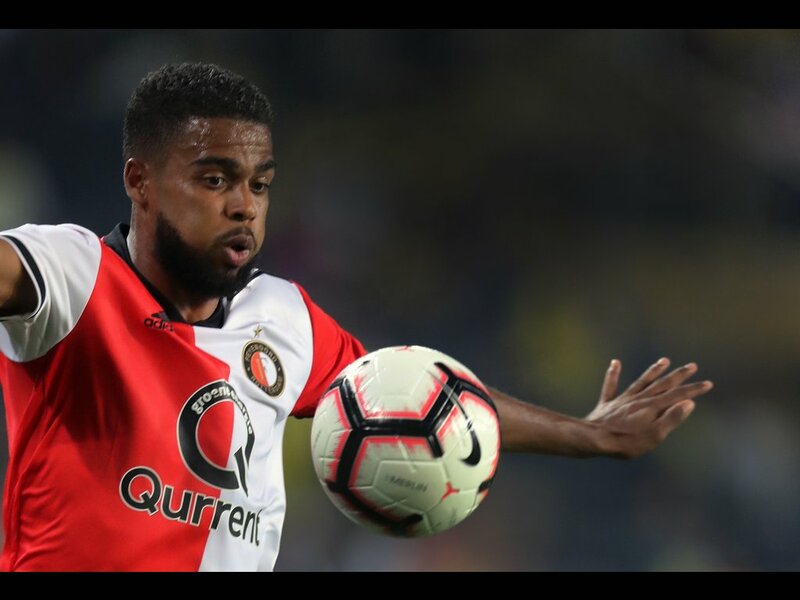 Confidence was not something Feyenoord were missing after last week’s 5-0 win against FC Basel. 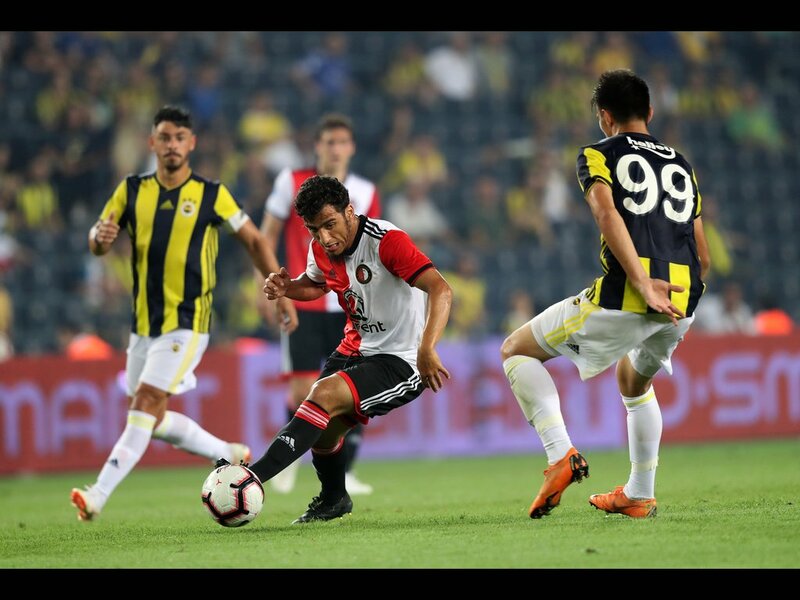 But it quickly became clear that the Turks were tougher opponents than the Swiss, with Fenerbahçe converting their first chance. 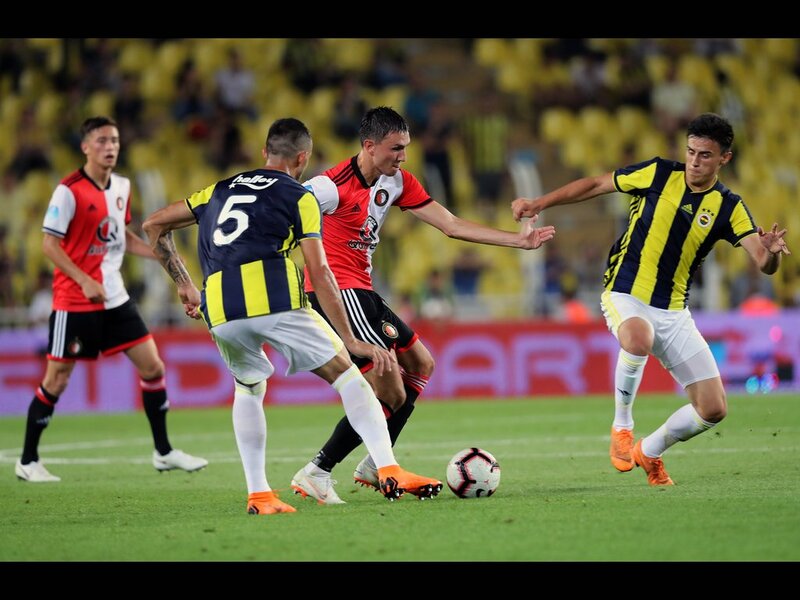 Justin Bijlow saved from Alper Potuk, but Eljif Elmas swept in the rebound from a long way out. 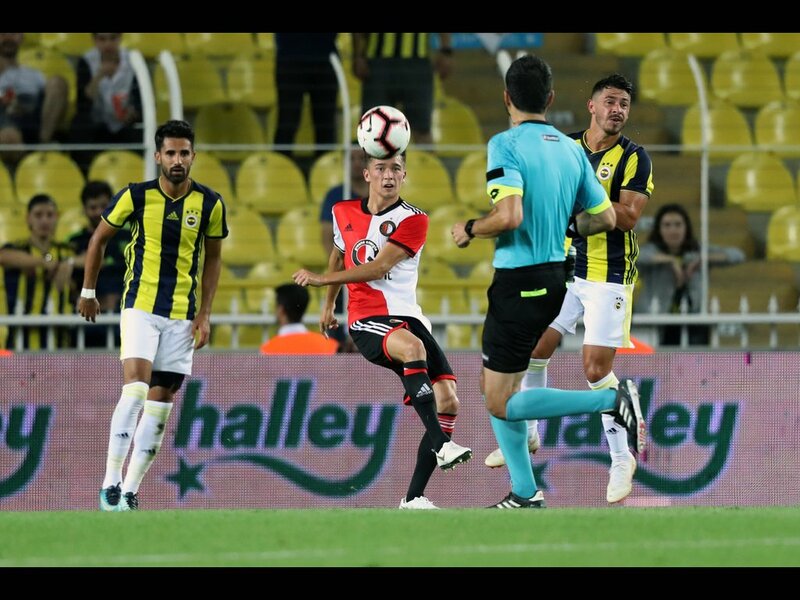 The second goal came within a quarter of an hour. 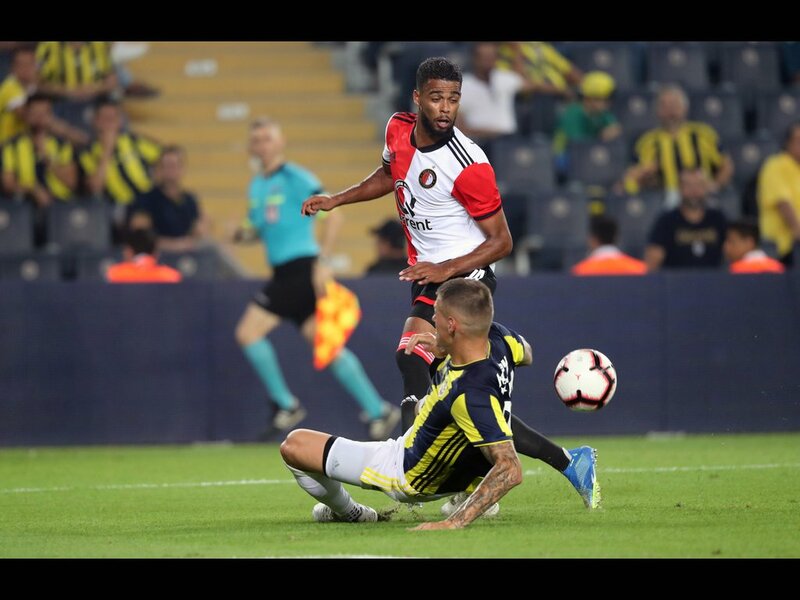 Tyrell Malacia committed a minor foul on Baris Alici, giving Victor Giuliano de Paula the opportunity to net the penalty. 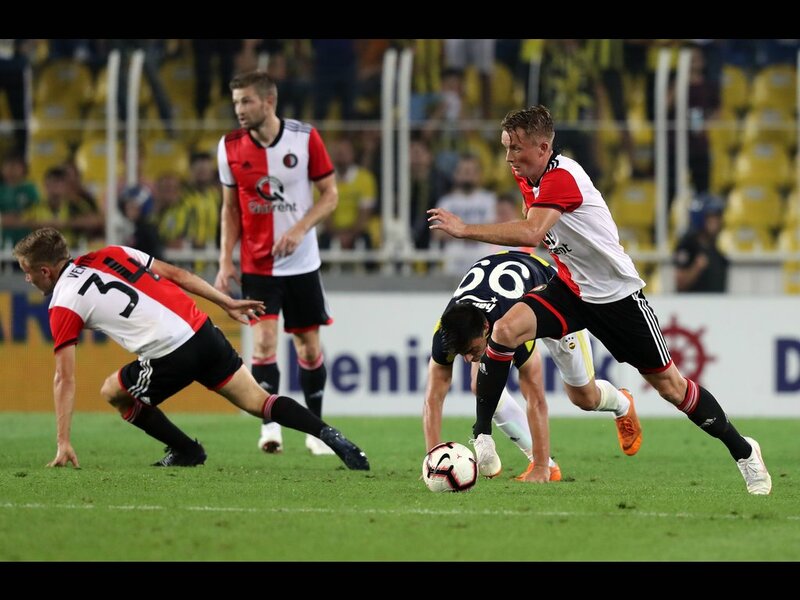 When Mathieu Valbuena made it three with his head on 18 minutes, Feyenoord looked down and out. 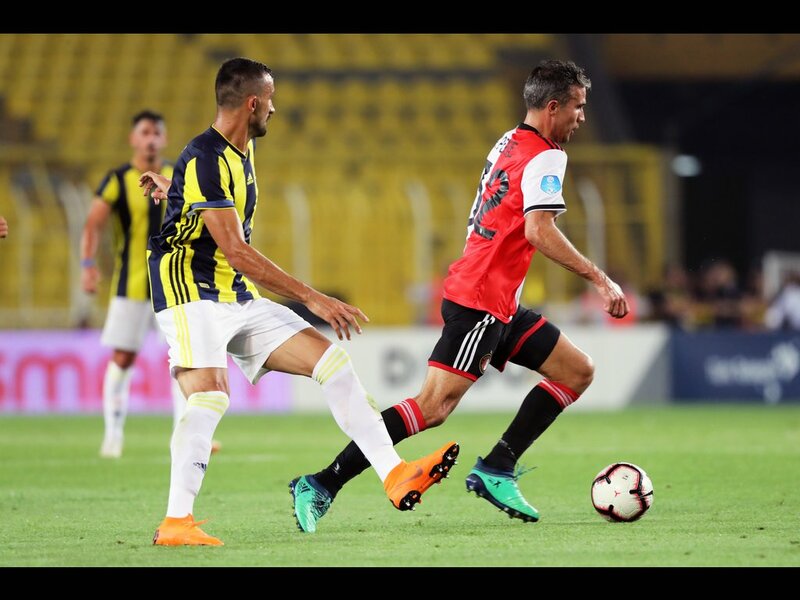 Fenerbahçe might have had a fourth on the half hour, when Giuliano stepped up to take a second penalty. 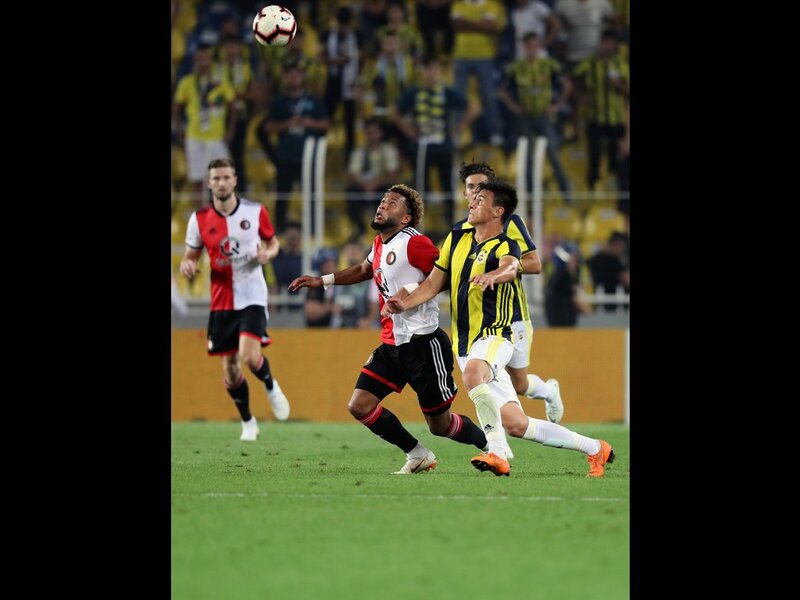 But this time Bijlow pulled out a fine save to deny the Brazilian. 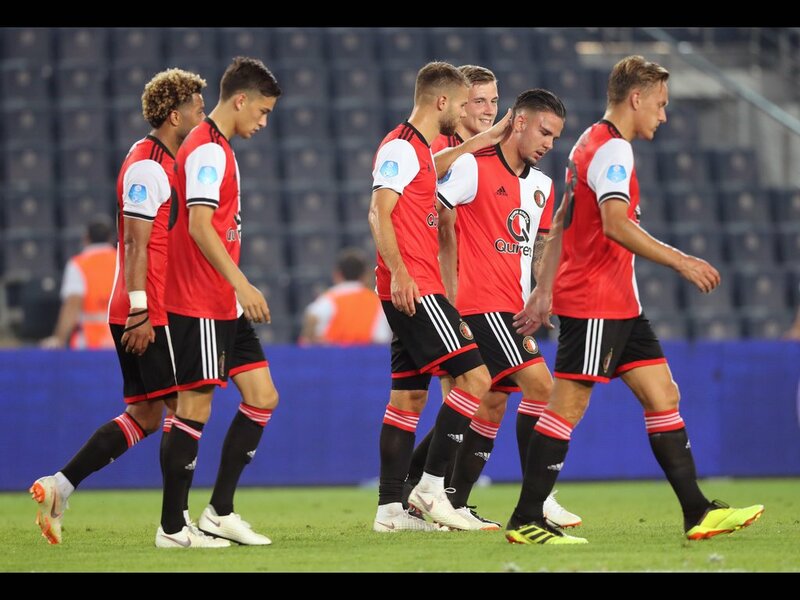 Coached by Jean-Paul van Gastel with Giovanni van Bronckhorst missing for family reasons, Feyenoord then started to get a foothold in the match. 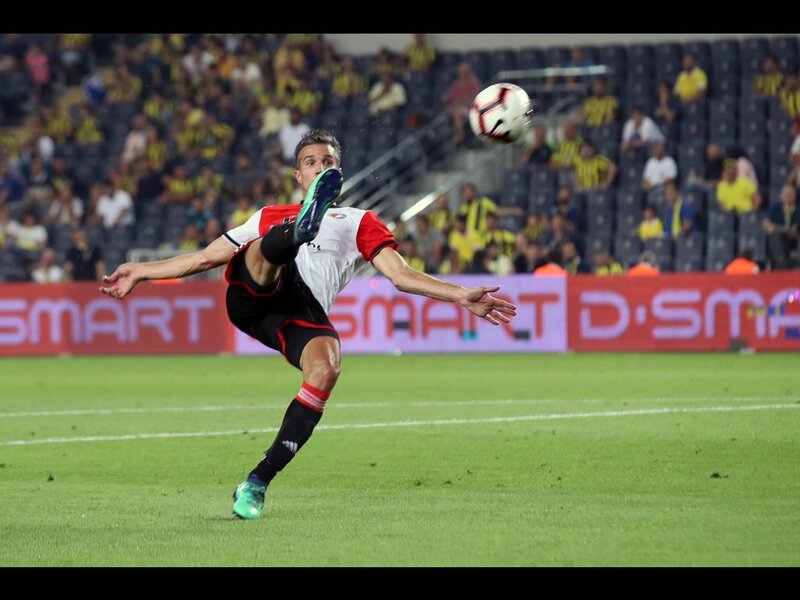 There was a chance for Robin van Persie, whose acrobatic effort from Steven Berghuis’s pass flew a meter over Volkan Demirel’s goal. 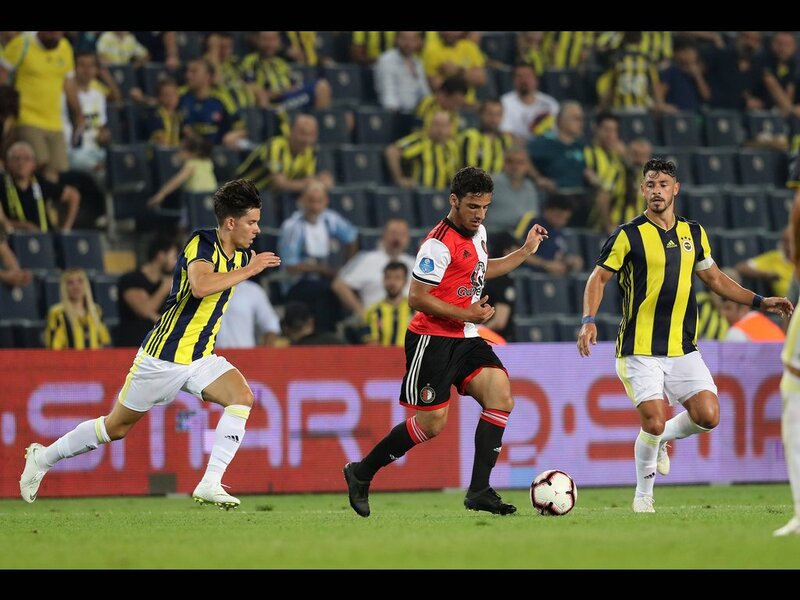 The final stages of the first half were a source of hope that Fyenoord could conjure up more of a threat in the second, but it was Bijlow who was called into action early on. 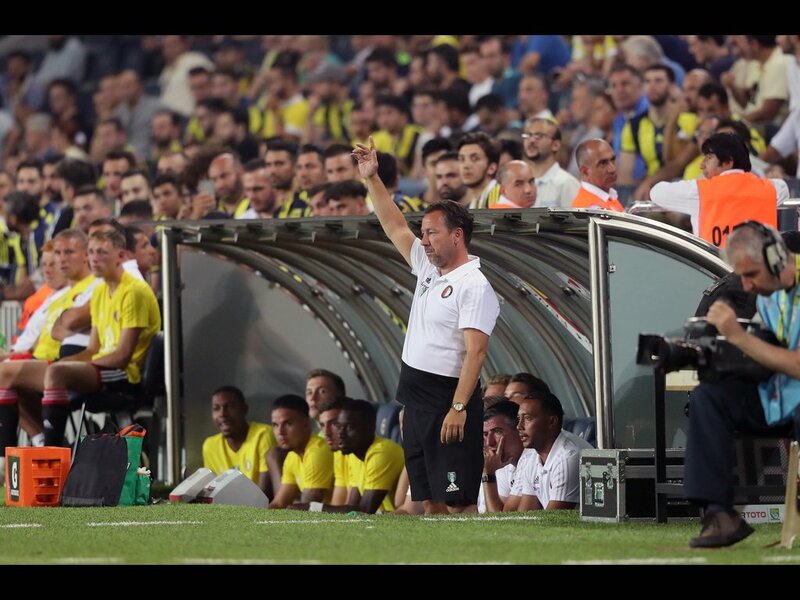 The keeper saved well from Alici. 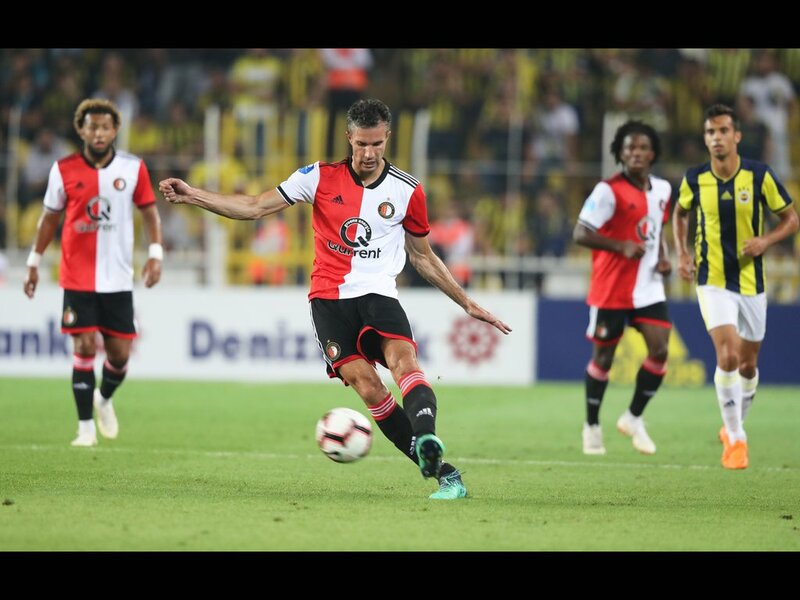 That was the last notable chance for the hosts, however, as Feyenoord worked hard to get back into it. 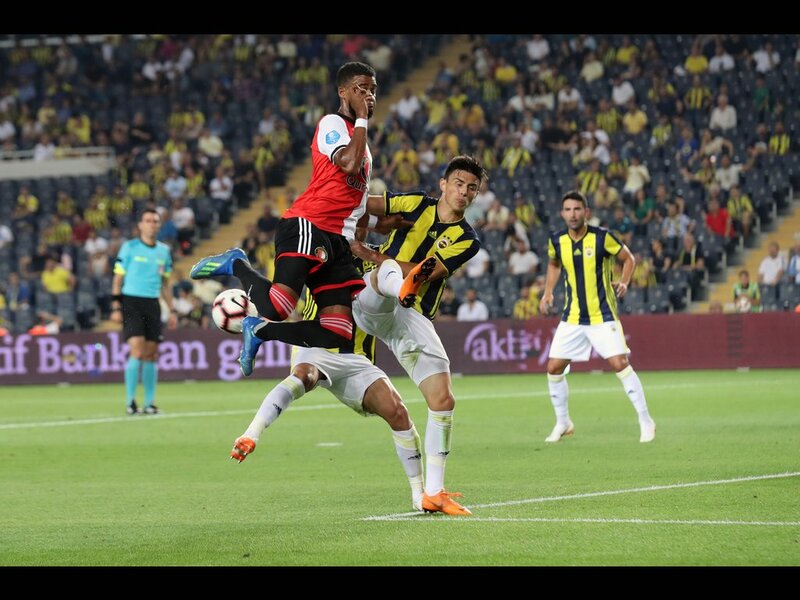 What looked like a consolation goal came with three minutes to go. 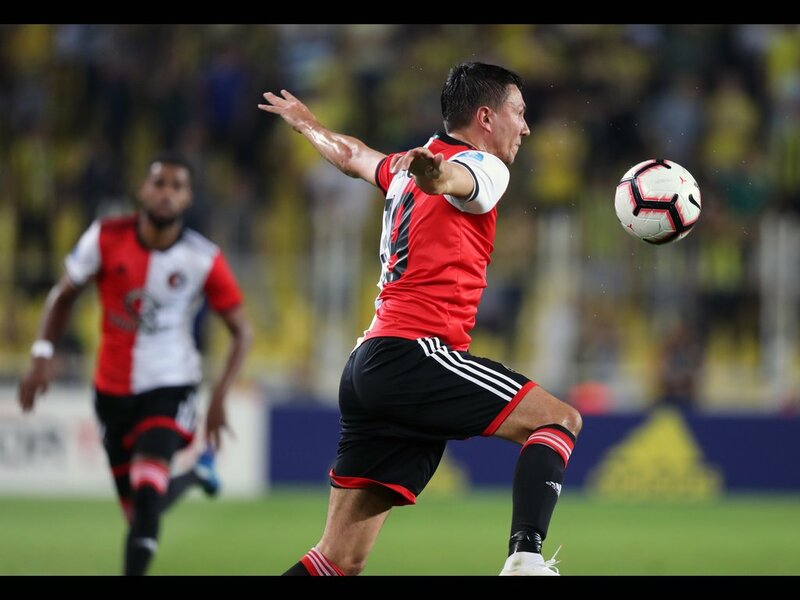 Berghuis shot hard and low from the edge of the box, netting via the post. 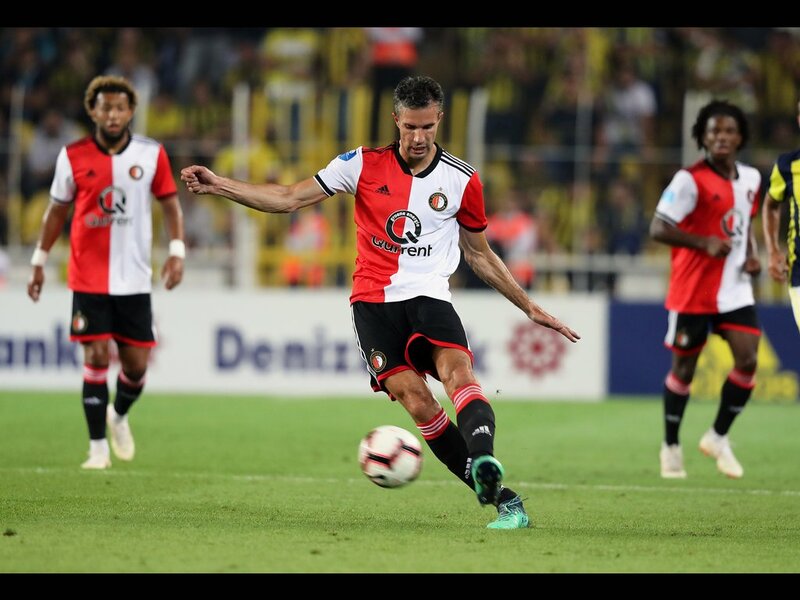 Feyenoord cut the deficit to one soon after. 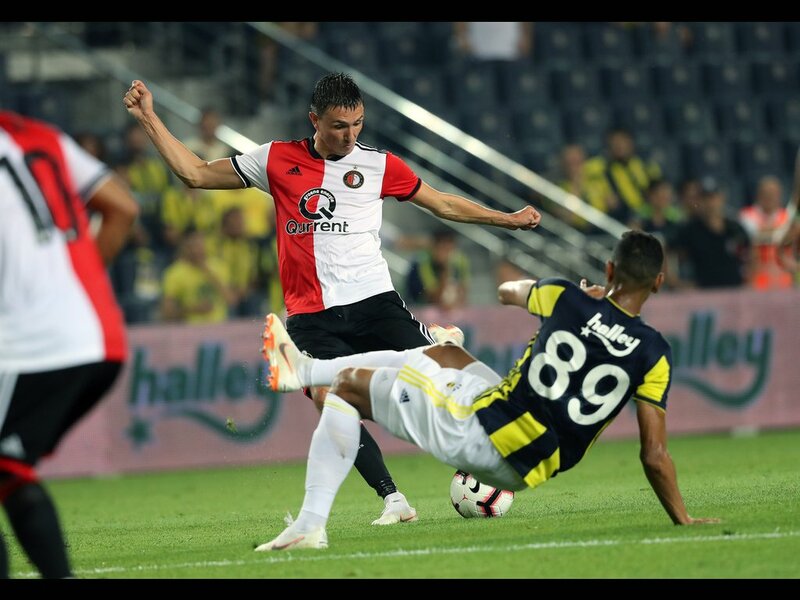 This time Berghuis turned provider. 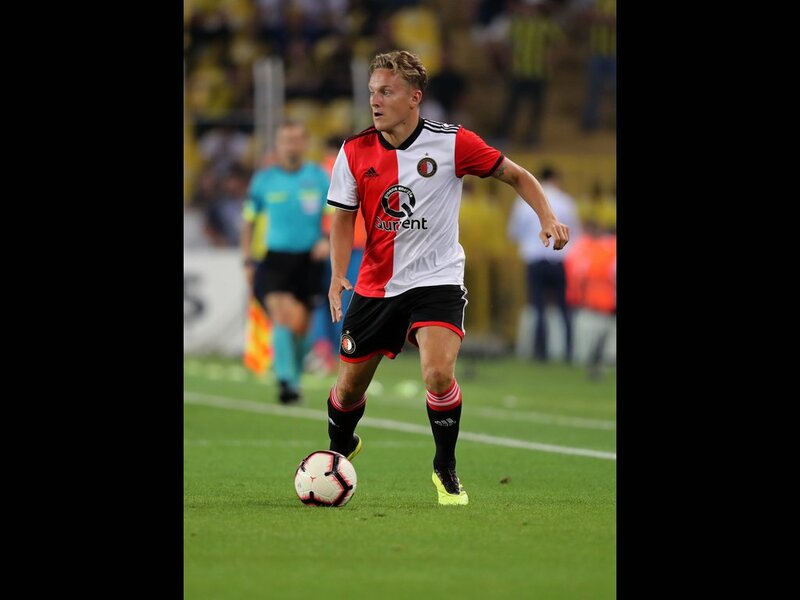 Accelerating down the right flank, the winger whipped the ball in for Jens Toornstra, whose header was too powerful to stop. 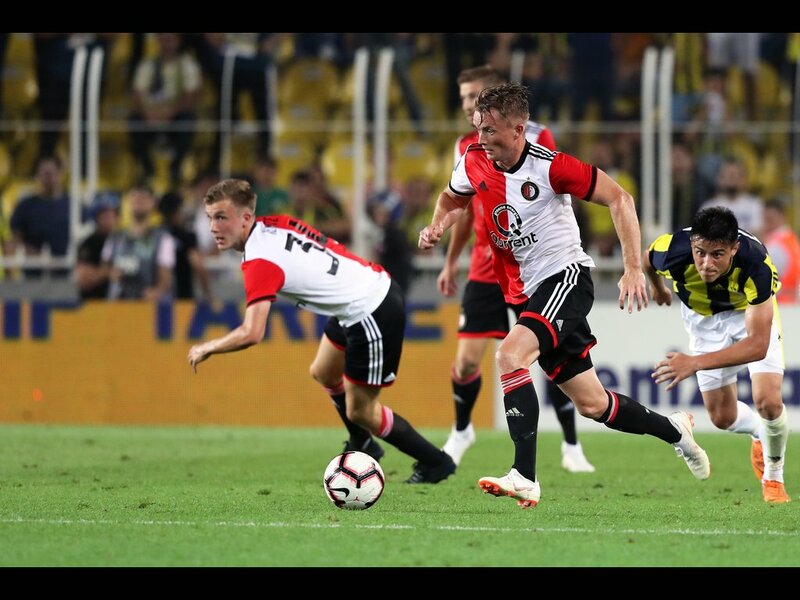 Into the last sixty seconds of injury time, Feyenoord were given a lifeline. 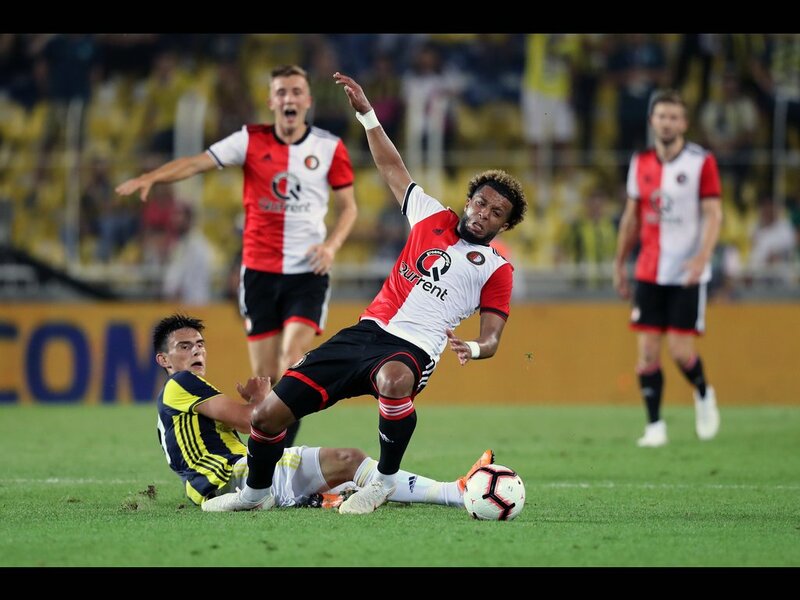 A light shove on Tonny Vilhena was punished with the award of a penalty, which Berghuis smashed in to equalise. 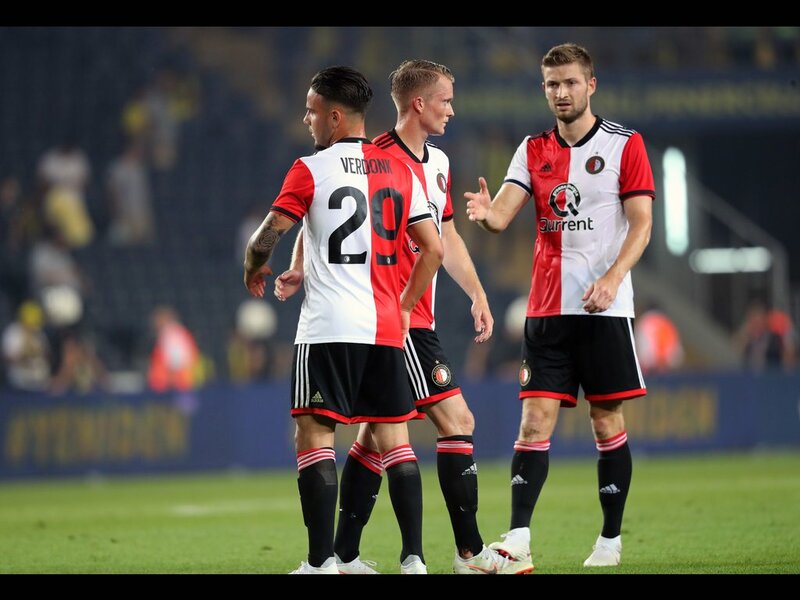 Feyenoord fly back to Rotterdam on Sunday no doubt buoyed by their stunning fight back. 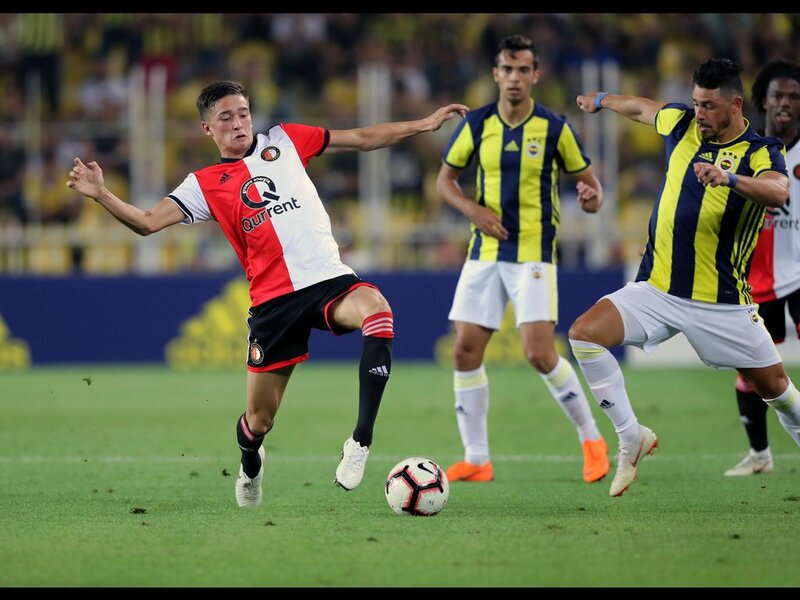 Next week sees the final match of preseason against Levante UD, with Eredivisie champions PSV waiting in the Johan Cruijff Shield on Saturday 4 August.